Ceramic IONIC Flat Iron Only $39.85 PLUS FREE Shipping! Down from $199! 80% Off! You are here: Home / Great Deals / Amazon Deals / Ceramic IONIC Flat Iron Only $39.85 PLUS FREE Shipping! Down from $199! 80% Off! Ceramic IONIC Flat Iron Only $38.85 PLUS FREE Shipping! Down from $199! 81% Off! This HOT DEAL is still here! Make aure you get yours before it’s too late! 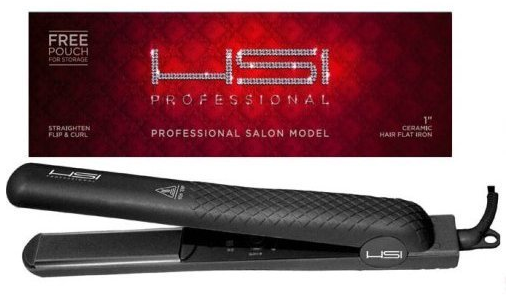 Get the Ceramic IONIC Flat Iron Only $39.85 PLUS FREE Shipping! This normally sells for $199! This means it is now 80% off! a FREE travel sized Argon Oil Treatment! What a smokin’ hot deal this is! Get yours NOW!